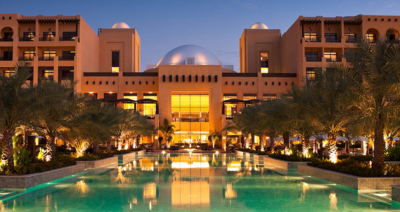 Touchwood handed over Hilton RAK after completion of extensive refurbishment. Touchwood Interior Contracting has successfully completed the extensive refurbishment scope which included Fit-out, Joinery, FF&E for 151 villas. 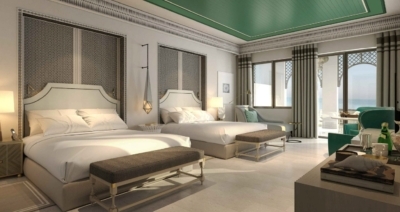 Aimed at spotlighting the hotel’s role as a symbol of quality hospitality, the new villas will re-position the Hilton Ras Al Khaimah Resort & Spa as the leading leisure resort in the Emirate of Ras Al Khaimah. The project included complete refurbishment of villa rooms as well as a new levant inspired Al Maeda restaurant and a Mediterranean influence beach bar – the SOL Bar. 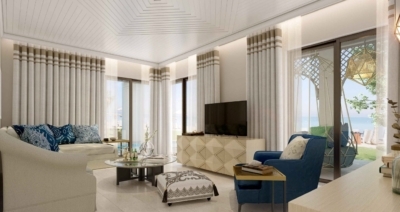 The refurbished villas consisted of one and two-bedroom options suitable for families with direct access to the beach for the lower floors and uninterrupted views of the Arabian Gulf for the higher levels. Each villa will have access to the resorts amenities whilst being set back from the main hotel allowing for privacy, while the décor compliments the local surroundings with hints of azure throughout and a minimalistic feel for added space. © Copyright 2018. Touchwood LLC. All rights reserved. Touchwood undertakes turnkey fit-out projects specializing in Hotels, Residential and Commercial projects as a complete package from Concept to Completion. Our engineers, technicians and draughtsman ensure a wide creative range for your design and that your ideas are implemented safely. Our development and project management teams benefit from their verifiable practical experience in numerous projects. Projects executed by us meet the highest requirements for construction, structure, acoustic and fire protection. Our many references represent individual concepts, tailor-made solutions and tried and tested products. Certified by ISO 9001, ISO 14001 and driven by a dedicated team of over 500 well-trained skilled workforces along with a group of over 70 highly competent technical and professional staff. The State-of-the-art facility has allowed Touchwood to successfully complete works for prestigious clients as well as working with leading Contractors, Architects and Designers for all their carpentry & joinery requirements. The prime reason for the development of a full -fledged in-house division for manufacturing was to ensure that we have total control for quality, time and budget in our projects. Lean engineering is implemented across all manufacturing processes to ensure maximum productivity and efficiency at each and every stage. Our carpentry and joinery division is highly flexible that we are able to supply any customer requirement – whether it’s mass produced or custom bespoke. Essential to the successful operation of your business, the sourcing of Furniture, Fixtures & Equipment should always aim to achieve the highest possible quality within the client budget. Our in-house division and our long-lasting relationships with trusted manufacturers, suppliers from all over the world put us in a strong position to deliver this balance. With over 40 years’ experience in managing, planning, purchasing, shipping and handover of FF&E, you can trust in our procurement processes and quality control inspections. Our FF&E team work with you to plan, design and deliver your exact Furniture, Fixtures & Equipment requirements within your budget.